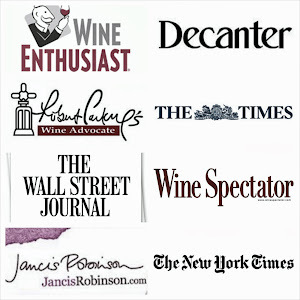 the vilafonte wine blog: Vilafonte wins lots of new awards! We were (again) judged the most successful Sout h African wine producer at the German International Wine Awards last week. We won the following accolades: Vilafonté Series M 2005 won the Great Gold Medal (Großes Gold!!! ), Warwick Trilogy 2005 won a Gold Medal, Vilafonté Series C 2005 won a Gold Medal & Vilafonté Series M 2003 won a Gold Medal. Vilafonté has now entered 2 wines over 3 vintages and never received less than GOLD. Vilafonté Series C 2005 was awarded the elusive GOLD medal by 240 wine professionals judging in Europe’s biggest wine competition. The jury is composed solely of professional tasters, personalities and renowned experts in the field of wine: Oenologists, sommeliers, journalists, wine writers and international buyers and traders. A GOLD medal symbolises a wine scoring up to 95.9 points on a scale of 100 points.